The district court in Amsterdam has ruled the compensation claim by Yukos International, once part of Russia’s biggest oil company, is legitimate. The firm is asking Rosneft for $333 million to cover losses incurred by the arrest of its accounts in 2008. "As for the amount [of compensation – Ed. ], the judge ruled that the issue should be considered separately," as TASS quotes a court representative. The verdict was sent to the parties in writing. Yukos International is seeking compensation $333 million in damages, plus costs and interest from February 7, 2011 from Russian state-owned Rosneft. The company claims it suffered damage as the court in Amsterdam ordered its bank account seized in 2008, which was linked to the bankruptcy of parent Yukos and its liquidation. 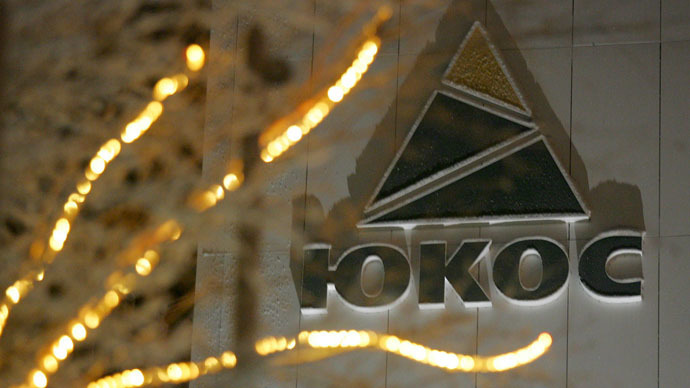 The assets freeze limited Yukos’ ability to invest “certain funds at their own discretion,” the company said. The first legal hearing took place in summer 2012. Rosneft filed for the suit to be withdrawn in the fall, saying the decision to freeze assets was done correctly and denied that Yukos International had suffered any losses. In the past year Yukos International has seen a number of rulings over unfair tax proceedings.The biggest is a $50 billion ruling by the Court of Arbitration in The Hague, which Russia challenged last week. A review by RBC said there were no grounds to sue Russia and challenged the payout on the grounds that the court used one-sided methodology. The research made by Russia’s business outlet RBC said Yukos was awarded $21.7 billion too much. In a separate €1.87 billion legal action initiated by the European Court of Human Rights (ECHR) Russia agreed to compensate the company’s former shareholders, saying it was “forced to accept” the ruling. The Yukos oil company existed from 1993 to 2007. On August 1, 2006, Yukos was declared bankrupt at the request of a foreign bank syndicate to whom it owed about $500 million. Later this debt was bought by Rosneft. In 2007 the company's property was sold at auction to cover debts. Yukos was finally liquidated on November 21, 2007.